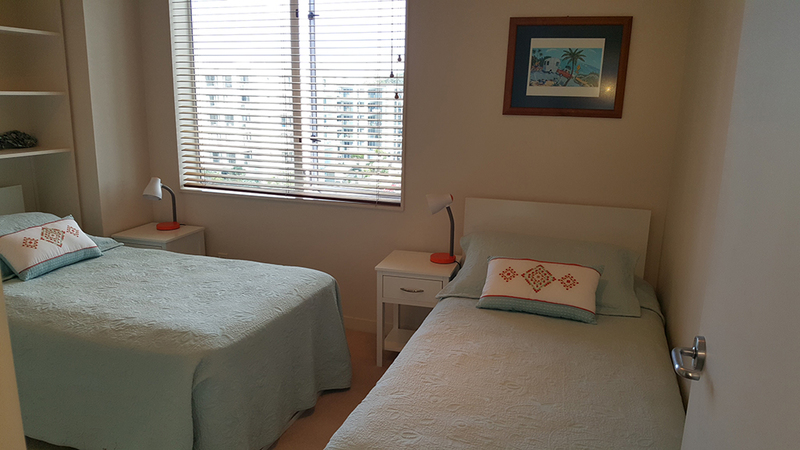 Large 3 Bedroom Apartment able to sleep up to 7 people consisting of 2 bedrooms with Queen size beds and 1 bedroom with 2 Single beds, one with pull out under bed. 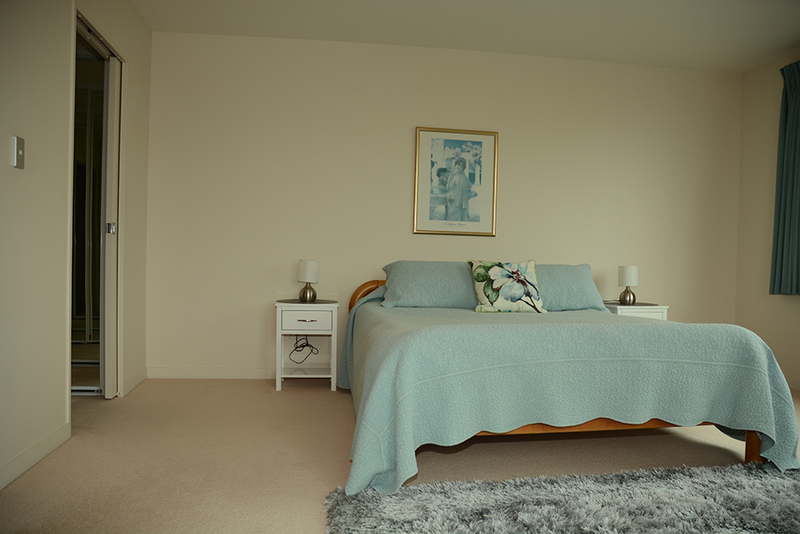 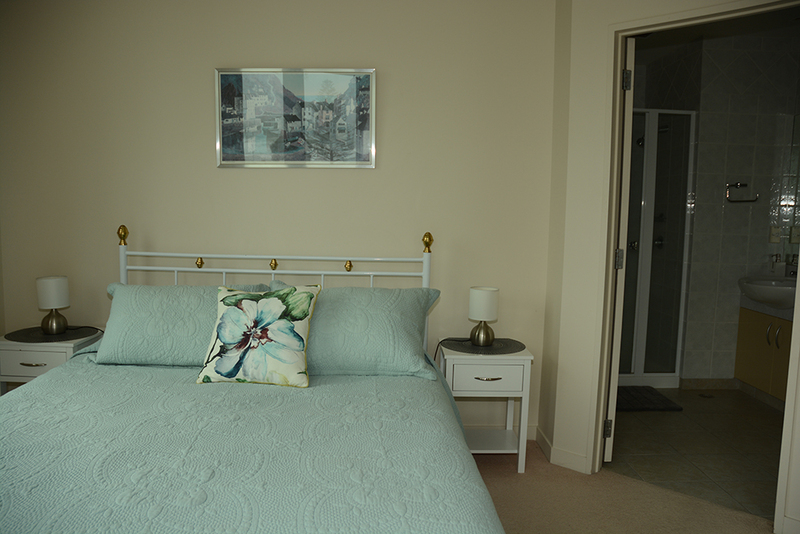 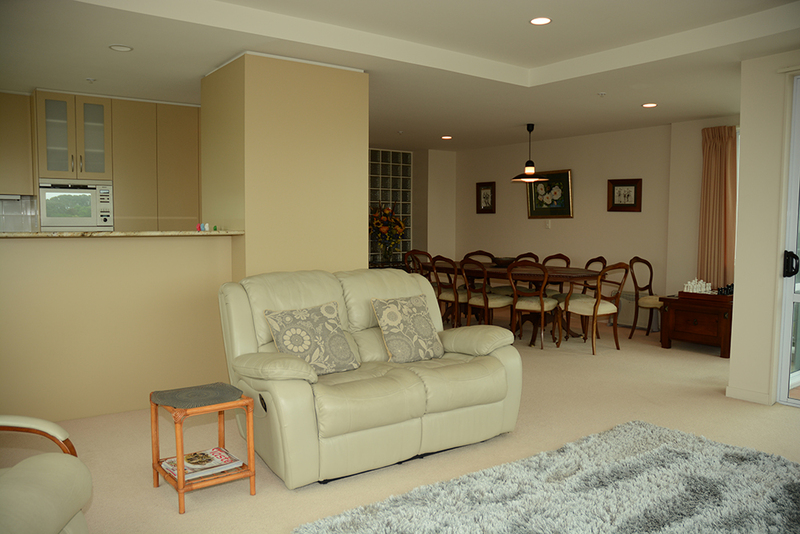 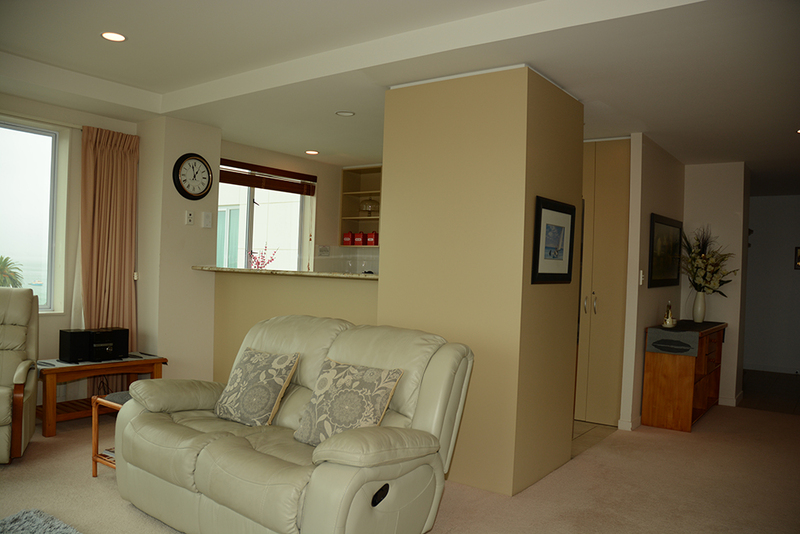 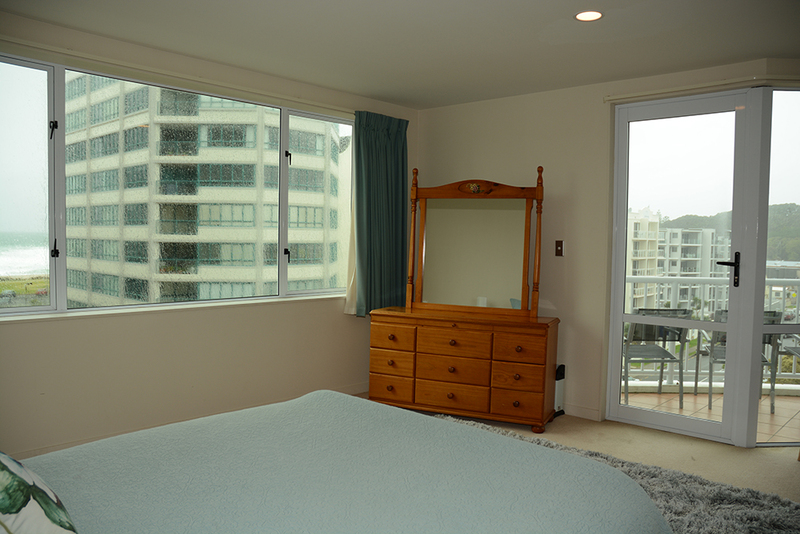 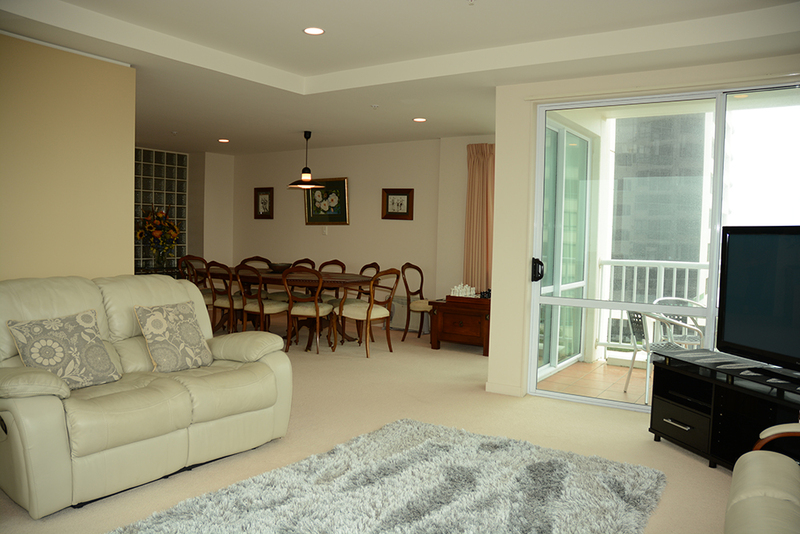 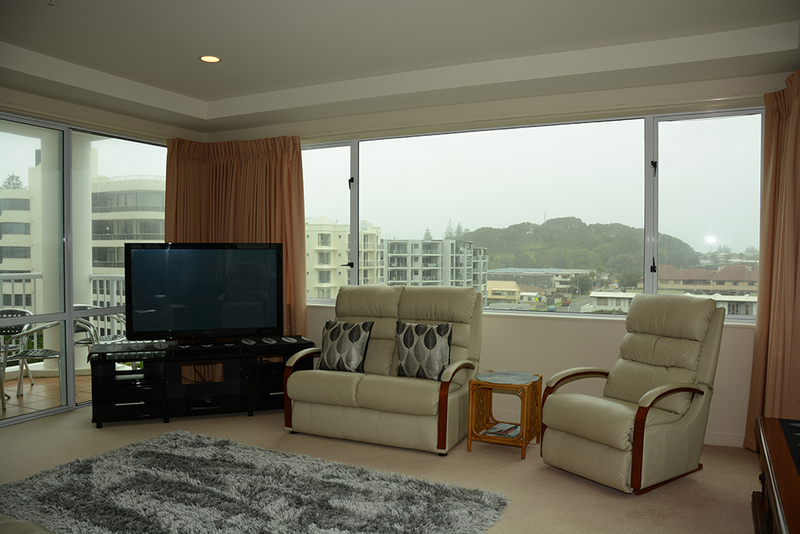 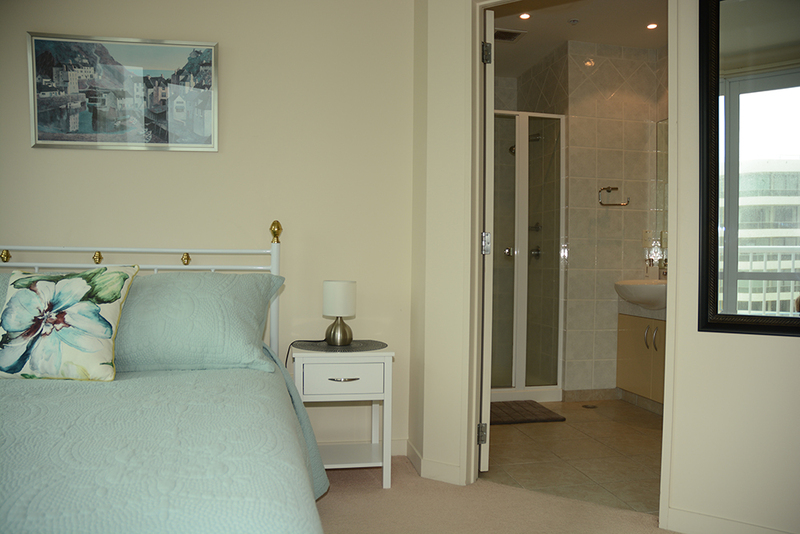 This spacious Apartment also has 2 ensuite bathrooms and another separate bathroom and toilet. 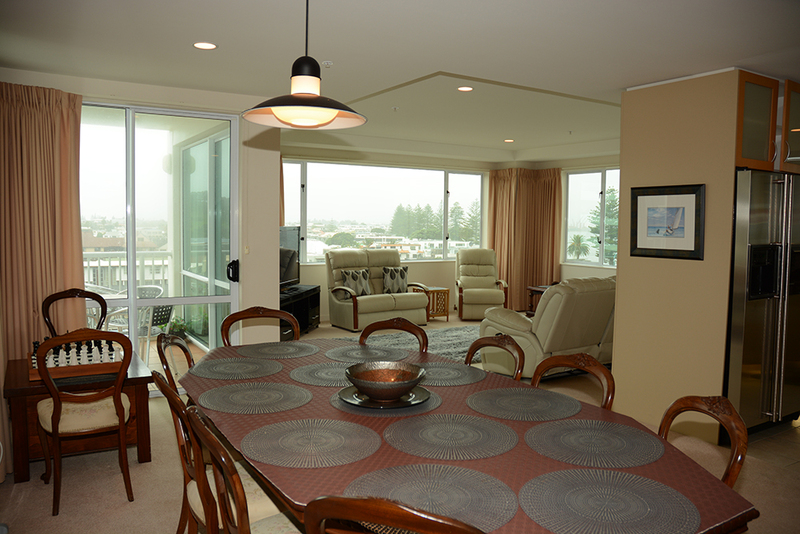 Large open plan Kitchen, Dining and Living room with 180 degree views of the Ocean and Port.